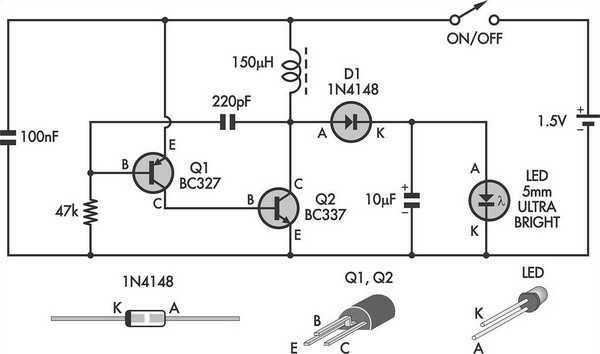 This simple LED torch is driven by a 2-transistor blocking oscillator which steps up the voltage from a 1.5V cell. It relies on the inherent current limiting of the 150µH choke to protect the white LED from over-drive. With a 9V zener diode in place of the white LED, it could also provide a 9V supply provided the current drain is modest.